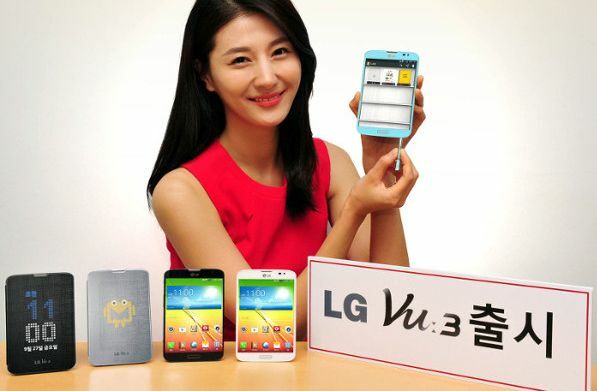 LG has officially announced the Vu 3, the latest smartphone from the company in Vu series. The LG Vu 3 comes with 5.2inch IPS display at asception 4:3 having resolution of 1280×960 pixels. The handset draws the power from Quad core Snapdragon 800 processor paired with 2GB of RAM and runs on Android 4.2.2 Jelly Bean operating system. It packs with 13MP primary camera with Flash and a 2.1 -megapixel front facing camera. The Vu 3 comes with Rubberdium stylus pen, that is able to perform different tasks. The LG vu3 features LTE-Advanced that offers speeds up to 150 Mbp, 4G LTE / 3G HSPA+ 42Mbps, WiFi, Bluetooth 4.0 with A2DP and GPS / aGPS. Although the company has enclosed details on pricing and battery yet.